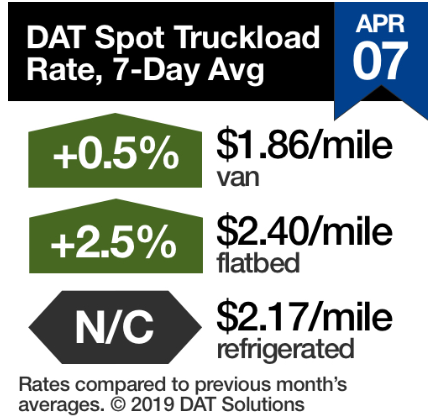 Spot truckload freight volume fell 2% during the week ending April 7 while a 9% increase in available capacity kept van and refrigerated rates from moving, said DAT Solutions, which operates the DAT network of load boards. One reason for the increased supply of trucks: slow produce harvests have prompted reefer carriers to compete for spot van freight. Diesel prices increased a penny to $3.09 per gallon. Van volumes declined compared to the previous week—not unusual for early April, since there was extra activity in late March for the close of Q1. There are actually more van loads moving on the spot market than at this time last year. But there are also plenty of trucks available. The van load-to-truck ratio declined last week to 1.3 loads per truck. Columbus to Memphis, on the other hand, fell 14 cents to $1.70/mile, and Houston to Oklahoma City, which jumped two weeks ago, fell back 12 cents to $1.92/mile. Pricing has been volatile on individual lanes but the national average reefer rate was unchanged last week. 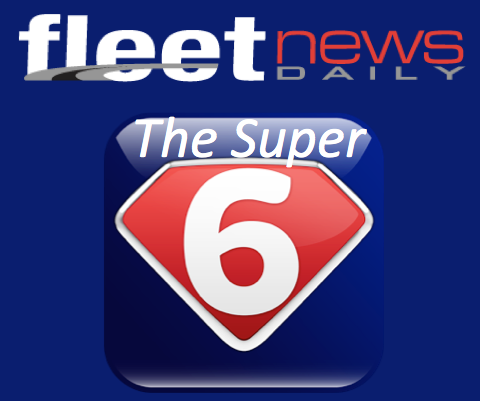 On the top 72 reefer lanes, rates on 36 were up, 33 were down, and three stayed the same. Nationally, spot reefer volume fell 1% but expectations are increasing with spring weather. Markets to watch: In Florida, Miami outbound volumes jumped 23% last week and were nearly 9% higher from Lakeland. But the Miami market (south Florida) had lots of trucks, which kept rates from rising, while Lakeland to Atlanta jumped 23 cents to $1.66/mile. 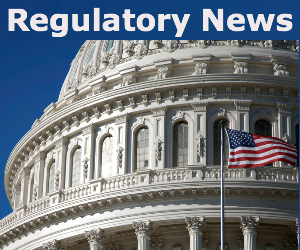 On the Mexican border, reefer freight volume increased 20% at Nogales, Arizona.